The Walper Hotel – Adventures in Networking! 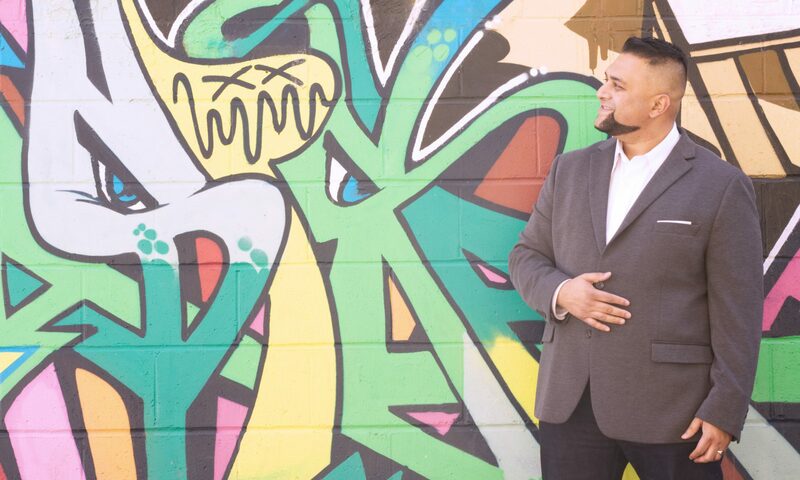 This week I was excited to be invited to the Kitchener-Waterloo area to speak about a passion of mine, LinkedIn. 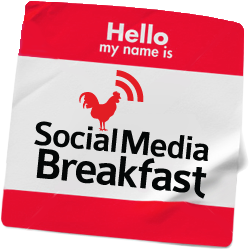 I was staying overnight but speaking to a very cool group called Social Media Breakfast – so I wanted to find a SM enlightened hotel. And I’m cheap and bored with cookie-cutter hotel chains. 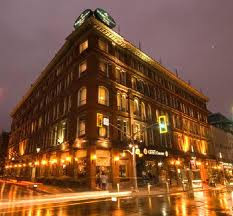 Right downtown ( I’m so sick of walking across massive parking lots to get to some form of life ) and a Heritage property which so much character it actually inspires creativity! 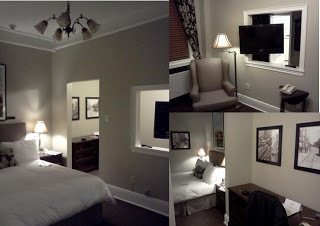 My stay was perfection for the business traveler, I came in late and every detail was handled in seconds. Such a beautiful room with high ceilings and new design touches too. Free wifi, a 2011 must. I will admit to being nervous as I’m a bit of a hypochondriac, but phew! Spotless washrooms and everything else..
2. 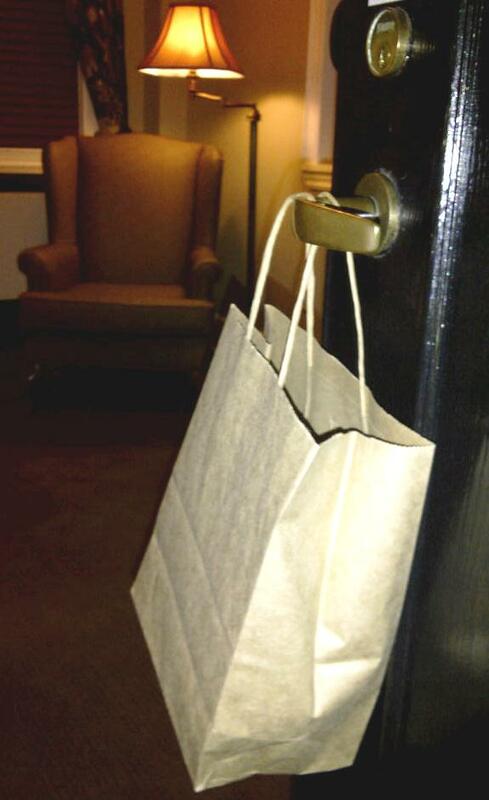 For the business traveler, the concept of a “grab and go” breakfast on my door handle early in the morning so I can eat on the run – BRILLIANT. I can’t go to one more horrible continental breakfast bar. Yogurt, fruit, juice n’ oats. This is a creative place for people that value inspiration and comfort. That it was ONE THIRD less than local chains like the Raddison and Holiday Inn didn’t hurt at all. A tip for network and tweeps – hope it’s of value. And to the Walper staff? I tweeted, you responded. Kudos, it’s why I booked. 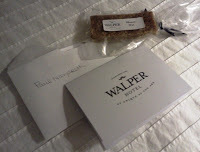 The handwritten, personalized welcome card on my nightstand with an organic honey-oat bar? Next PostNext LinkedIn Log – Make 2012 a success!